Cornelia Arnolda Johanna "Corrie" ten Boom (15 April 1892 – 15 April 1983) was a Dutch watchmaker and later a writer who worked with her father Casper ten Boom, her sister Betsie ten Boom and other family members to help many Jews escape the Nazi Holocaust during World War II by hiding them in her home. They were caught and she was arrested and sent to Ravensbrück concentration camp. Her most famous book, The Hiding Place , is a biography that recounts the story of her family's efforts and how ten Boom found hope while imprisoned at the concentration camp. Casper ten Boom was a Dutch Christian who helped many Jews and resisters escape the Nazis during the Holocaust of World War II. He is the father of Betsie and Corrie ten Boom, who also aided the Jews and were sent to Ravensbrück concentration camp where Betsie died. Casper ten Boom died 9 March 1944 in The Hague, after nine days imprisonment in the Scheveningen Prison. 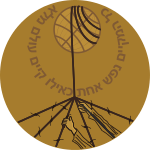 In 2008, he was recognised as Righteous Among the Nations by Yad Vashem. Elisabeth ten Boom was a Dutch woman, the daughter of a watchmaker, who suffered persecution under the Nazi regime in World War II, including incarceration in Ravensbrück concentration camp, where she died aged 59. The daughter of Casper ten Boom, she is one of the leading characters in The Hiding Place, a book written by her sister Corrie ten Boom about the family's experiences during World War II. Nicknamed Betsie, she suffered with pernicious anemia from her birth. The oldest of five Ten Boom children, she did not leave the family and marry, but remained at home until World War II. In Judaism, "chosenness" is the belief that the Jews, via descent from the ancient Israelites, are the chosen people, i.e. chosen to be in a covenant with God. The idea of the Israelites being chosen by God is found most directly in the Book of Deuteronomy as the verb bahar, and is alluded to elsewhere in the Hebrew Bible using other terms such as "holy people". Much is written about these topics in rabbinic literature. The three largest Jewish denominations—Orthodox Judaism, Conservative Judaism and Reform Judaism—maintain the belief that the Jews have been chosen by God for a purpose. Sometimes this choice is seen as charging the Jewish people with a specific mission—to be a light unto the nations, and to exemplify the covenant with God as described in the Torah. 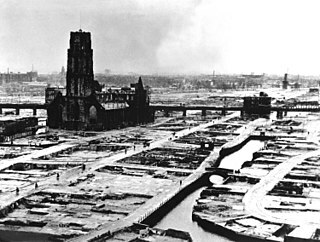 Thus the ten Booms began "The Hiding Place", or "De Schuilplaats", as it was known in Dutch (also known as "de Béjé", pronounced in Dutch as 'bayay', an abbreviation of their street address, the Barteljorisstraat). Corrie ten Boom and her sister Betsie opened their home to refugees — both Jews and others who were members of the resistance movement — being sought by the Gestapo and its Dutch counterpart. They had plenty of room, although wartime shortages meant that food was scarce. Every non-Jewish Dutch person had received a ration card, the requirement for obtaining weekly food coupons. Through her charitable work, ten Boom knew many people in Haarlem and remembered a couple who had a disabled daughter. The father was a civil servant who by then was in charge of the local ration-card office. She went to his house one evening, and when he asked how many ration cards she needed, "I opened my mouth to say, 'Five,'" ten Boom wrote in The Hiding Place. "But the number that unexpectedly and astonishingly came out instead was: 'One hundred.'" He gave them to her and she provided cards to every Jew she met. The Barteljorisstraat is a shopping street in Haarlem that connects the Grote Markt to the Kruisstraat. After the war, ten Boom returned to The Netherlands to set up a rehabilitation centre in Bloemendaal. The refuge housed concentration-camp survivors and sheltered the jobless Dutch who previously collaborated with Germans during the Occupation exclusively until 1950, when it accepted anyone in need of care. She returned to Germany in 1946, and met with and forgave two Germans who had been employed at Ravensbrück, one of whom was particularly cruel to Betsie. Ten Boom went on to travel the world as a public speaker, appearing in more than 60 countries. She wrote many books during this time. Corrie Ten Boom told the story of her family members and their World War II work in her best-selling book, The Hiding Place (1971), which was made into a 1975 World Wide Pictures film, The Hiding Place , starring Jeannette Clift as Corrie and Julie Harris as Betsie. In 1977, 85-year-old Corrie migrated to Placentia, California. In 1978, she suffered two strokes, the first rendering her unable to speak, and the second resulting in paralysis. She died on her 91st birthday, 15 April 1983, after a third stroke. A sequel film, Return to the Hiding Place (War of Resistance) , was released in 2011 in the United Kingdom, with its United States release in 2013, based on Hans Poley's book, which painted a wider picture of the circle of which she was a part. Sophia Magdalena Scholl was a German student and anti-Nazi political activist, active within the White Rose non-violent resistance group in Nazi Germany. Jannetje Johanna (Jo) Schaft was a Dutch communist resistance fighter during World War II. She became known as the girl with the red hair. Her secret name in the resistance movement was Hannie. The Hiding Place is a 1975 film based on the autobiographical book of the same name by Corrie ten Boom recounting her and her family's experiences before and during their imprisonment in a Nazi concentration camp during the Holocaust in World War II. The Hiding Place was directed by James F. Collier. Jeanette Clift George received a Golden Globe nomination for Most Promising Newcomer - Female. The film was given limited release in its day and featured the last appearance from Arthur O'Connell. Irene Gut Opdyke born Irena Gut was a Polish nurse who gained international recognition for aiding Polish Jews persecuted by Nazi Germany during World War II. She was honored as the Righteous Among the Nations by Yad Vashem for risking her own life to save twelve Jews from certain death. The Hiding Place is a 1971 book on the life of Corrie ten Boom, written by ten Boom together with John and Elizabeth Sherrill. Wanda Krahelska-Filipowicz, code name “Alinka”” or “Alicja”, was a leading figure in Warsaw’s underground resistance movement throughout the years of German occupation during World War II in Poland, co-founder of Żegota. As the well-connected wife of a former ambassador to Washington, she used her contacts with both the military and political leadership of the Polish Underground to materially influence the underground's policy of aiding Poland's Jewish population during the war. Maria Helene Françoise Izabel Gräfin von Maltzan, Freiin zu Wartenberg und Penzlin was an aristocrat who, as part of the German Resistance against Adolf Hitler and the Nazi party, saved the lives of many Jewish people in Berlin. The Ten Boom Museum is a museum dedicated to The Hiding Place, the subject of a book by Corrie ten Boom. The house where the museum is located was purchased and restored in 1983 by the Corrie ten Boom Fellowship, a non-profit 501(c) 3 corporation governed by a board of directors. Mike Evans (journalist) serves as the chairman of the Board. Hortense Clews was member of the Belgian Resistance during World War II. Return to the Hiding Place (2013) is a film based upon the factual accounting of Hans Poley's World War II encounter with Corrie ten Boom, his involvement in the Dutch resistance and the wartime harboring of Jewish refugees. A non-Jewish fugitive himself, for refusing to pledge his allegiance to the Nazi party; Poley was the first person hidden from the Nazis in Ten Boom House, which today is a museum in Haarlem, Netherlands. The film is adapted, in part, from Poley's book, Return to the Hiding Place (1993), personal recollections, relayed to screenwriter Dr. Peter C. Spencer, and research from the Dutch National Archives. The film is neither a prequel, nor a sequel to the 1975 film, The Hiding Place; rather, Return to the Hiding Place is a congruent accounting of Dutch underground resistance efforts from Hans Poley's perspective. It was directed by Peter C. Spencer and starred John Rhys-Davies, Mimi Sagadin and Craig Robert Young. Aleida Mathilda (Ada) van Keulen was a Dutch woman who took part in the resistance during World War II. Andrée Virot was a French spy and Resistance agent during World War II. She saved over one hundred Allied lives over the course of the war, surviving two concentration camp imprisonments. Diet Eman is a Dutch Resistance worker during World War II and author of the book Things We Couldn't Say. Johtje and Aart Vos were Resistance workers during World War II. They saved 36 lives during the war by letting people hide in their home. Fernande Keufgens was a Belgian resistance fighter with the Army of Liberation during the Second World War. Ebba Lund was a Danish Resistance fighter during World War II and a scientist. Muriel Rose Phillips Engelman was an army nurse for the United States during World War II. 1 2 3 Corrie ten Boom Biography, A&E Television Networks, LLC. ↑ Atwood, Kathryn J. Women Heroes of World War II. Chicago: Chicago Review Press. p. 117. ISBN 9781556529610. 1 2 Atwood, Kathryn J. Women Heroes of World War II. Chicago: Chicago Review Press. p. 118. ISBN 9781556529610. ↑ "H2G2", DNA, The British Broadcasting Company . 1 2 Atwood, Kathryn J. Women Heroes of World War II. Chicago: Chicago Review Press. p. 119. ISBN 9781556529610. 1 2 Atwood, Kathryn J. Women Heroes of World War II. Chicago: Chicago Review Press. p. 120. ISBN 9781556529610. 1 2 3 Atwood, Kathryn J. Women Heroes of World War II. Chicago: Chicago Review Press. p. 121. ISBN 9781556529610. ↑ Atwood, Kathryn J. Women Heroes of World War II. Chicago: Chicago Review Press. pp. 121–122. ISBN 9781556529610. 1 2 Atwood, Kathryn J. Women Heroes of World War II. Chicago: Chicago Review Press. p. 122. ISBN 9781556529610. Corrie ten Boom at Find a Grave . Hartley, Al, The Hiding Place (PDF), Carps place, Archived from the original on 2011-07-08 CS1 maint: BOT: original-url status unknown (link). 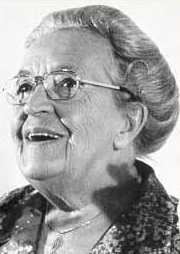 Wikimedia Commons has media related to Corrie ten Boom .